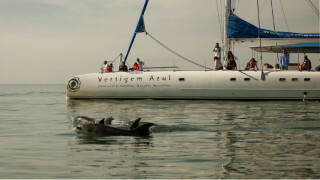 Explore Portugal's natural and cultural wonders before sailing off on a dolphin cruise aboard a top-quality catamaran. Our regular tour runs with a minimum of 3 people. If you make a booking for fewer people, the tour will not run if more people do not join. Departure time: 9:30 a.m. (exact pickup time will be confirmed within 48h prior to the tour). 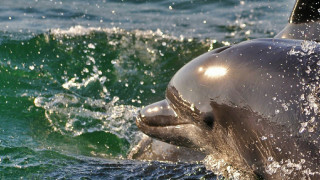 Returns to original departure point at approximately 7:00 p.m.
What to bring: Comfortable clothing and footwear, swimwear, towel, and sunscreen. 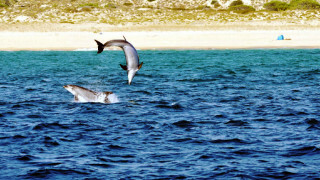 The weather and sea conditions may not always allow the dolphin watch cruise to go ahead. Some people may get seasick on the boat trip. Please prepare in advance and take or bring medication if needed. 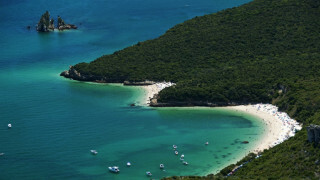 Enjoy stunning natural beauty in Arrabida Natural Park during this guided day trip from Lisbon. 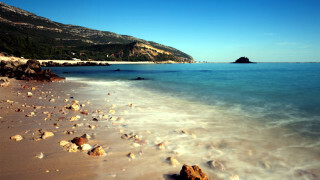 With your expert guide leading the way, you visit Albufeira Lagoon (Lagoa de Albufeira), the clifftop Cabo Espichel, and the fishing town of Sesimbra with its Moorish Castle. 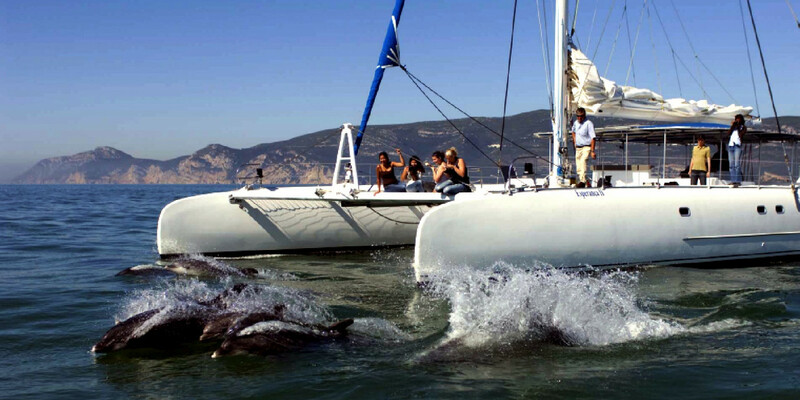 You then journey through Arrabida Natural Park to Setubal and board our catamaran, the start of your amazing three-hour dolphin cruise. You meet your guide at your local centrally-located hotel in Lisbon. Then, hopping aboard our air-conditioned minivan, we cross the 25th of April Bridge (Ponte 25 de Abril), often compared to the Golden Gate bridge of San Francisco. We drive for about 40 minutes and arrive at the stunningly green Arrabida Natural Park. Traverse this park while learning the history of this protected region. Continue to the golden sands of Albufeira Lagoon (Lagoa de Albufeira) and watch windsurfers and marine birds swirl in its waters. Cruise onward to the beautiful cliffs of Cabo Espichel (Cape Espichel). 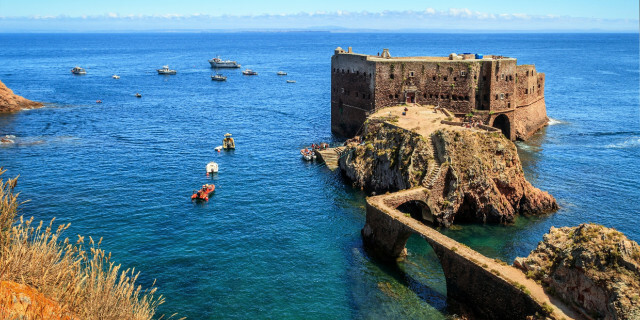 Here, hop out to see Santuario de Nossa Senhora do Cabo Espichel, a 600-year-old religious site where pilgrims gathered to honor Our Lady of the Cape. Then, snap some cliff top panoramic shots of the stunning Atlantic coast. 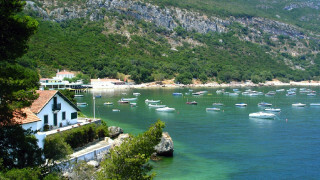 Next, drive to the charming seaside town of Sesimbra, where local fishermen haul in fresh catches from the ocean. Stroll to the Moorish castle and discover its medieval roots. 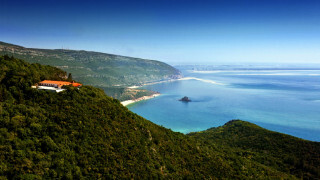 Journey through Arrabida Natural Park to Setubal and stop for lunch (own expense). 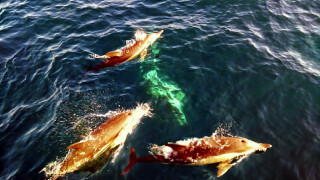 Afterwards, rejoin your group and guide - it's time to sail off on our 3-hour dolphin cruise! 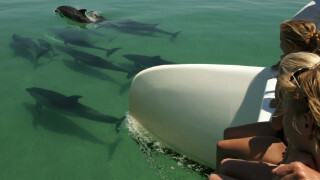 Step aboard an extravagant catamaran and enjoy live commentary as you search the Sado River Estuary for the local bottle nose dolphin community. 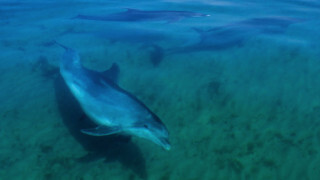 A wonderful day of wonder, this tour allows you to experience natural beauty like never before.